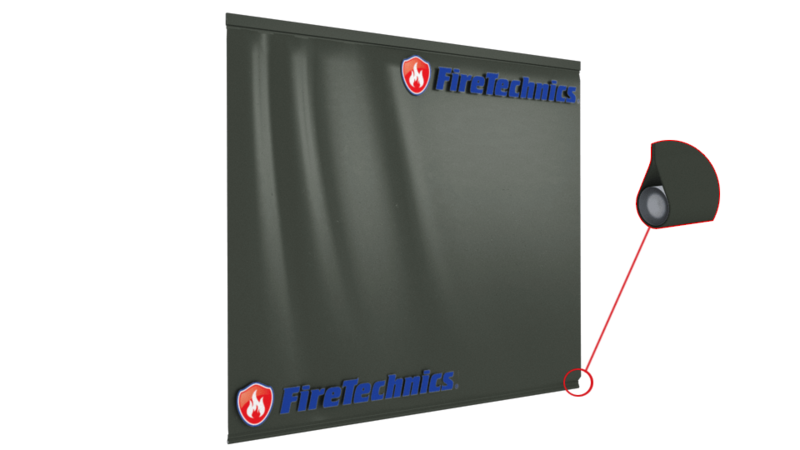 Fire barrier membrane of low weight to cover large openings in order to prevent the spread of fire and smoke in case of fire. Various degrees of fire resistance E120 (without irrigation water); EI120, EI180 (for irrigation water). Minor static load of about 1 kg per square meter of aperture. Important! 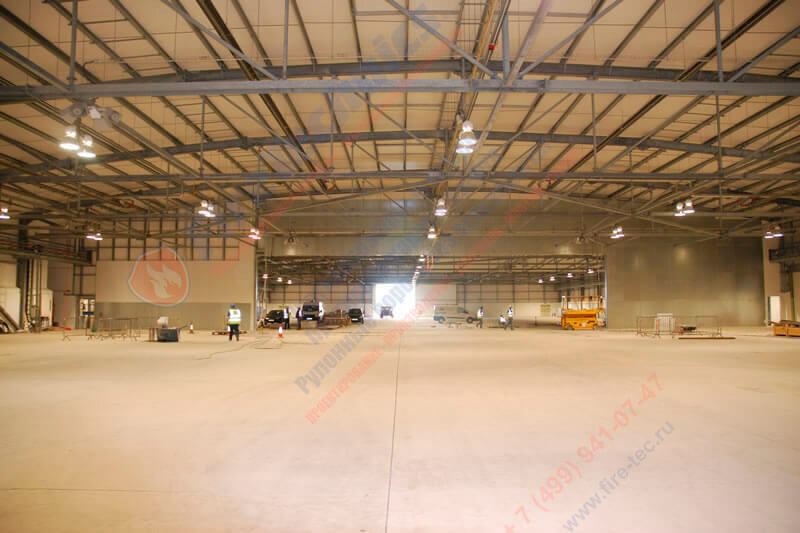 Fire resistant membranes are supplied to the object is almost assembled, which greatly facilitates the installation of fire resistant membranes, increases the speed and correctness of execution of mounting and commissioning works. 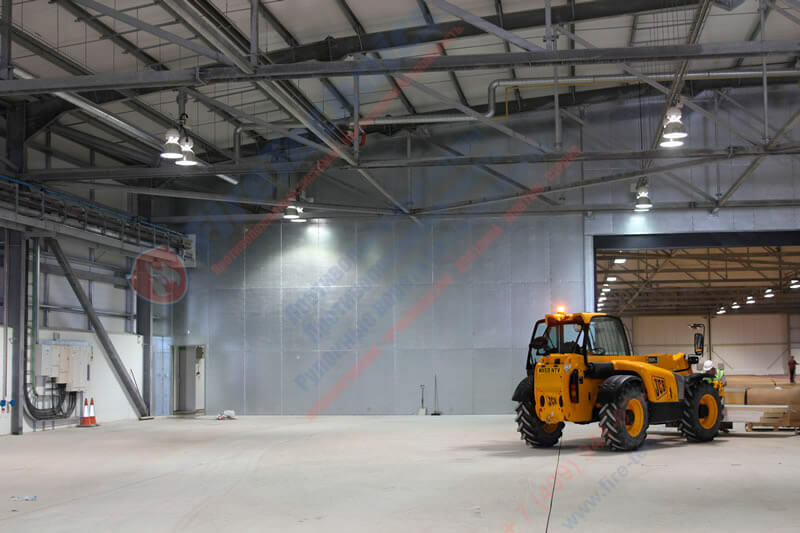 Modern construction and fire safety can not be imagined without the production of fireproof membranes and the properties of the films used in the arrangement of the roof, ventilated facades and fireproof structures. The market today offers automatic flame retardant membranes and similar materials in abundance, and choosing from their extensive range of best option is not so simple. The fact is that the basic characteristics of building “films” – resistance to UV radiation, vapor permeability, mechanical stability – are quite close in various manufacturers. However, there is one more important indicator, which many manufacturers simply keep silent – these are fire and technical characteristics. GOST membrane flame retardant It applies only to the specialized category of materials. But if we are not talking about full-fledged fire retardant barriers, as a rule, they are not high. But the fire safety of the whole building depends on them. And there are facilities where installation of fireproof membranes is not only a requirement of the law, but the only way to save property and human lives in the event of a fire. 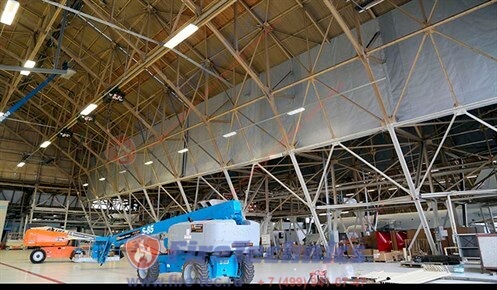 As steam, wind and hydroprotective films, they were created as an element of the thermal insulation system, which provides the insulator with protection against penetration of moisture from the atmosphere and at the same time ensuring high diffusion of water vapor. The first PVC products of such a plan were invented in the fifties of the 20th century as a means to prolong the life of the insulation, as well as protection from moisture on roofing materials. Naturally, at first these were not modern flame retardant membranes, the price of which can vary depending on the manufacturer and technical specifications. Providing moisture and wind protection – they are used in systems of ventilations and on pitched roofs. Usually they are non-woven materials based on a polymer with a single-, double-, or three-layer structure and are divided into diffusion and super diffusion. Steam insulation – help to keep heat inside the premises and are a non-woven polymer cloth covered with a protective melt. Steam and waterproofing – usually a strong polymer film with UV stabilization and reinforcement. Used in all kinds of foundations and in uninsulated roofs. 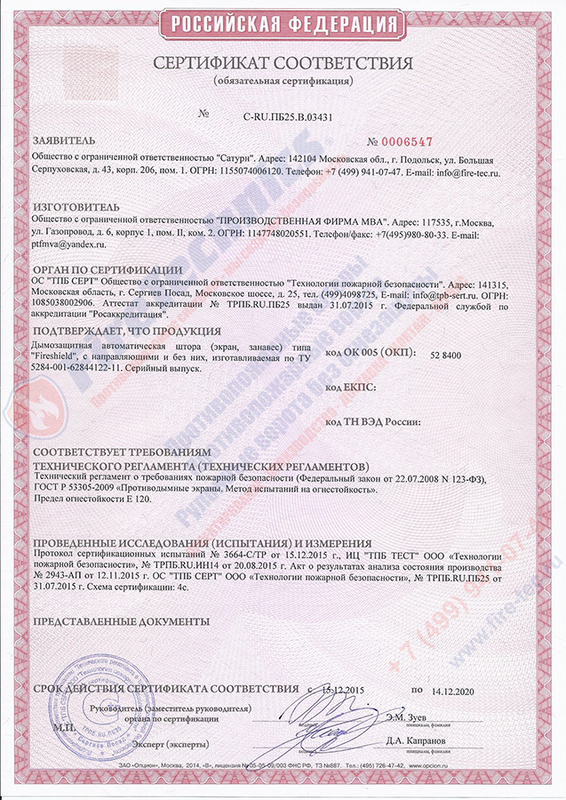 The property of fire safety for building membranes is a very important characteristic, because if not buy fireproof membranes in Voronezh or another city when building a building with a ventafasade, then in case of fire, the fire at best will destroy the thermal insulation system, and at worst – will cause Ignition of the entire building structure. And since it is rather difficult to know the real parameters of construction films for fire and technical protection, the best solution is to purchase fireproof membranes from a well-established manufacturer that guarantees fire safety, regardless of the scope of their use. Currently, fireproof membranes in Voronezh, in St. Petersburg, Oreborg, Yekaterinburg, Yaroslavl and other cities (they are also called fire screens or curtains) are produced by several domestic and foreign manufacturers. 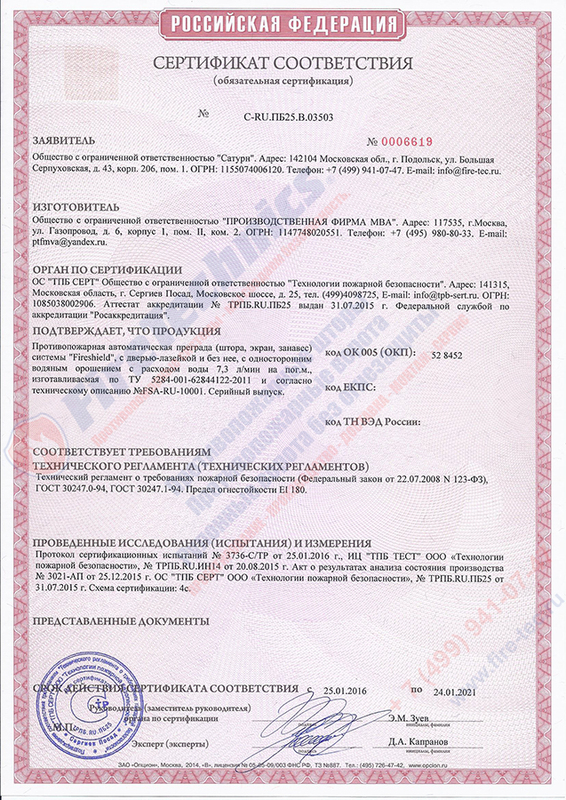 One of the most famous are Tyvek products from DuPont, Isoltex of the Russian production on the basis of high-strength fiberglass, and also the technological veils FireShield from Fire Technics. What are such fire retardant products? Fire protection membrane, cost which varies in a wide range – it is a means for passive protection of buildings in the event of a fire, capable of protecting building structures during installation as part of a roofing or wall “pie” or preventing the spread of flame and combustion products throughout the site if installed in all kinds of openings. Fire protection membrane requirements And the installation rules, as well as the operating standards are reflected in the relevant GOSTs 30244-89, 53307-2009, etc. 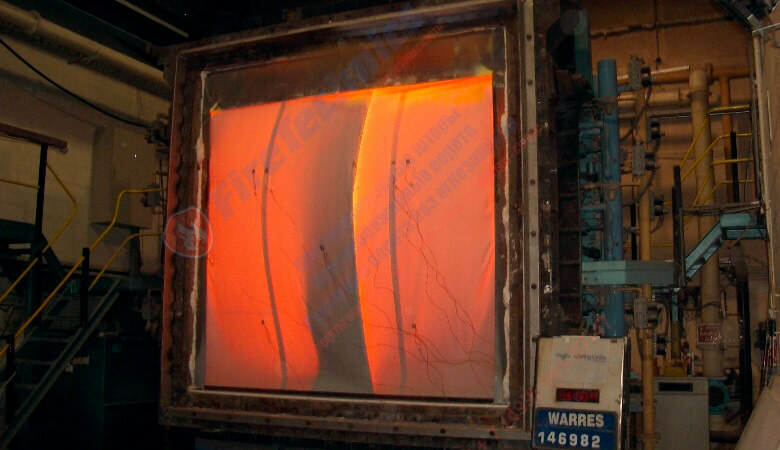 Installation of flame retardant membrane can be either static or with the ability to remotely control its progress. Any of the designs has a fire resistance limit regulated by the Federal Law 123, reflected in their markings. The letter “E” shows the period of loss of the thermal insulating ability of the web due to the achievement of its surface temperature limit value, and “I” shows the amount of time during which the membrane can restrain the fire onslaught (in minutes). For a situation where Fireproof membrane (photo All possible variations of such structures can be found on the Internet), the product acts as a filling of the opening, its fire resistance limit, loss of thermal insulation capacity and integrity can be EI 30, EI 60 and more. If the membrane acts as a stand-alone fire barrier, for example, in the protection of evacuation ladders or a fire hazard zone, or is used as a horizontal barrier, then according to the legislative standards, the flame retardant membranes must have the “R” , Showing, along with the limit of fire resistance, also the period of loss of bearing capacity. One of the types of flame retardant membranes is smoke shields. They are used in the role of smoke curtains, as well as for the formation of gas and smoke tight channels for the removal of combustion products from the building to the outside through ventilation. Manufacture of fireproof membranes with smoke protection is also carried out in two directions – fixed as well as controlled in automatic mode construction. This type of fire curtains – one of the undoubted leaders in sales in the field of similar equipment in the domestic market. The fireproof membrane from the manufacturer with a world-wide name in practice proved its ability to limit potential losses in case of fire, effectively to keep the flame and increase fire safety both in the construction process and in the further operation of the building. 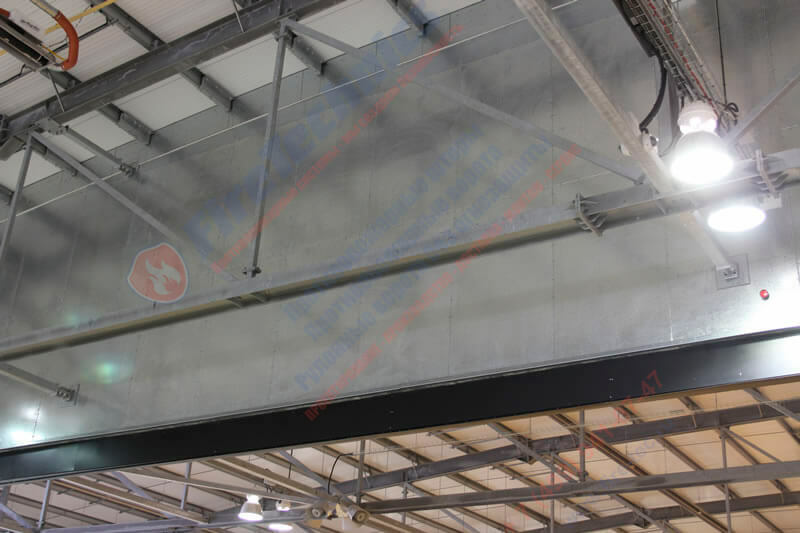 Fire protection membranes Fireshield ei 120, as well as products with a different fire-resistant limit, are able to cover openings of any purpose and size, due to the unlimited number of their height and width parameters. They are made on the basis of the innovative fireproof material Firetex 600, whose square meter weighs less than 500 g and has a thickness of only 0.4 mm. EI 180 with water irrigation. An important feature of this technological product is the organic combination of incombustible ability with the ability to function not only as a fire barrier but also as a highly effective diffusion membrane. Fire protection membrane Fireshield EI 120 and its variants with a different degree of fire protection have an extensive list of applications: they can be used for fire protection of wall and ceiling openings including on the facades of buildings, as part of wall and roof “pies”, as a separation and noise insulation layer on diesel gas power stations, in Shipbuilding, aviation and oil industry, household sphere – in general, wherever protection from the destructive effect of fire is required. Such a technological material can withstand the temperature of burning for an hour or two, slowing or preventing the fire spread, giving more time for human evacuation and contributing to the preservation of property. And this despite the fact that the membrane fire-protection estimate production and installation has more than affordable. For many years of successful application FireTechnics specialists managed to prove in practice that this solution can provide reliable and long-term protection, which you can rely on! 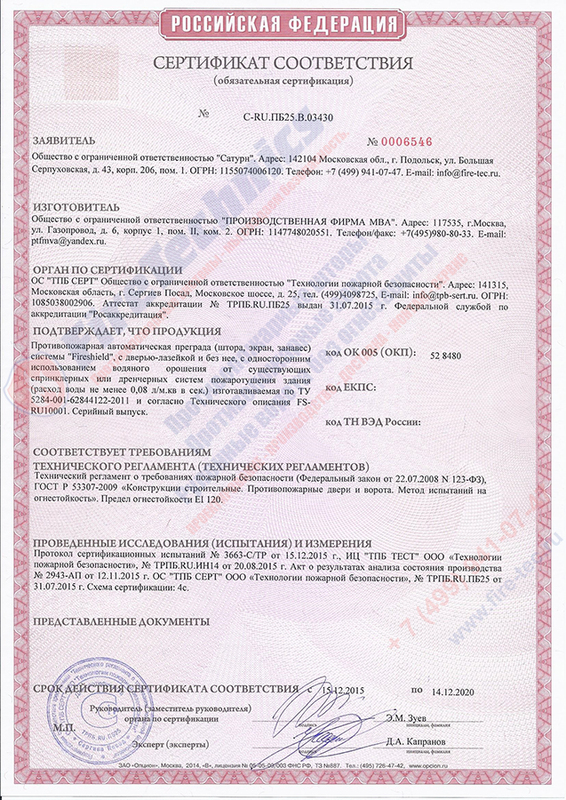 Has certificates of the European standard. 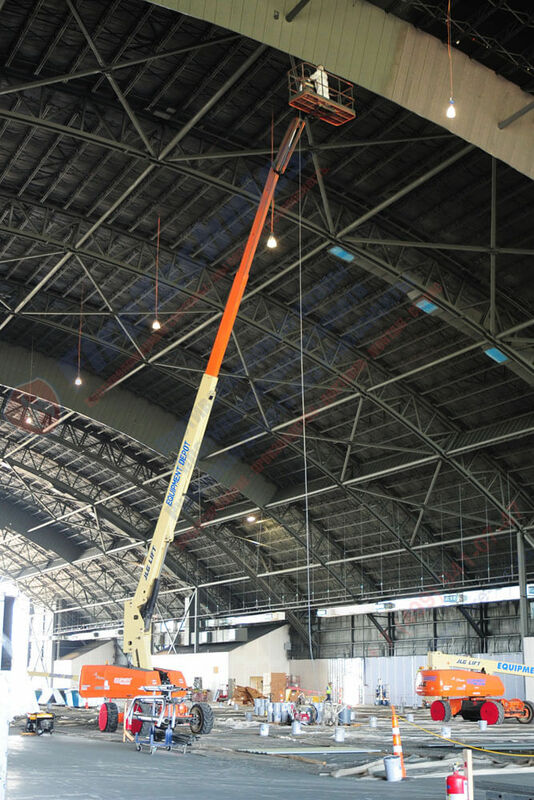 Based on its designation and features, EI 120 flame retardant membrane, the instruction for its use is very simple, can be mounted either in the overlay on the wall surface, or on the ceiling or on the suspension beam. In addition, it can be installed transversely to the wall using corners, or in a horizontal plane to the ceiling. 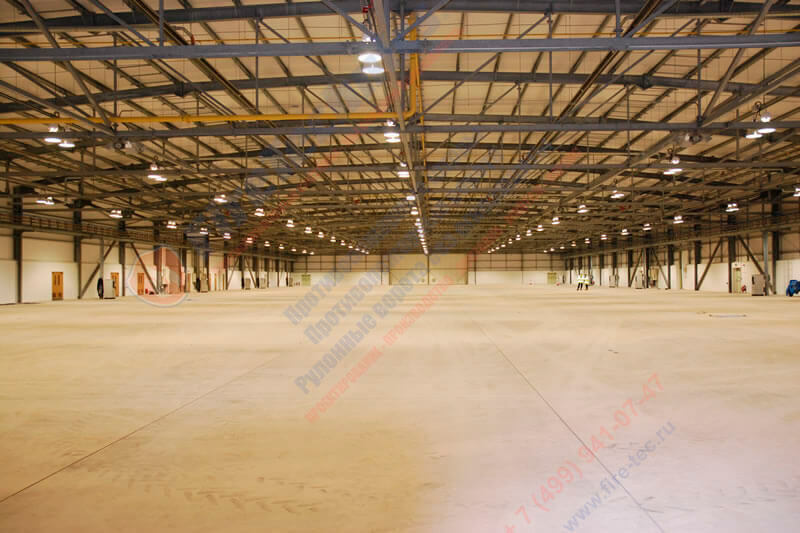 Call or write to us online, and the qualified managers of the company will be pleased to answer all your questions about the properties, prices, operation and order of fireproof membranes in St. Petersburg, Moscow and other Russian cities. 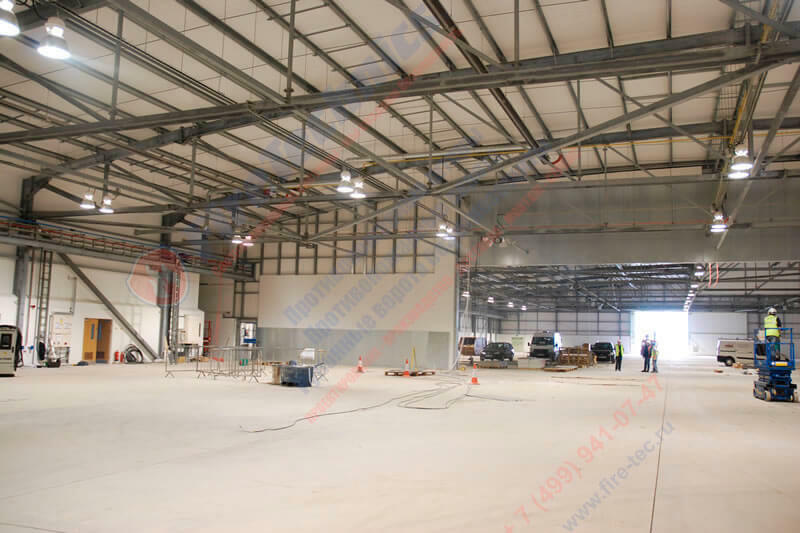 By ordering high-quality air curtains for your commercial, industrial or household facility, you can count on the fact that they will be designed, delivered and installed in no more than a month, providing your building with almost 100% fire safety!